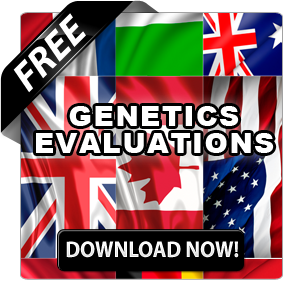 Every year we wonder if this year`s Expo will be able to surpass benchmarks set in the past.. This year was no different. Coming into Expo, there was perhaps a little less optimism. No one could foresee that a former Expo Champion would add to her already great legacy or that a new legend was set to begin. Unexpected. Yes. But that is exactly what happened. We arrived late to the show, after trying to juggle multiple companies in very different industries. This meant that the first show that I got to see was the Brown Swiss Show. Looking back, this show set the tone for the rest of my week as I witnessed and recorded one the greatest colored breed show cows of all time, OLD MILL E SNICKERDOODLE OCS EX-4E-94-USA, who made an appearance. (Read more: The 12 Greatest North American Colored Breed Show Cattle of All-Time). 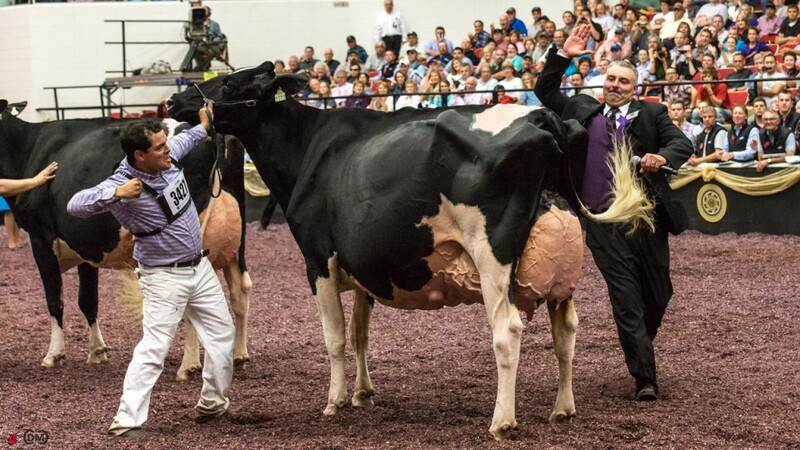 While Snickerdoodle did not add to her record 7 Grand Champion awards at Expo, as she was showing in the dry cow class, she did win her class and the hearts of all in the building who raised the roof with their applause. 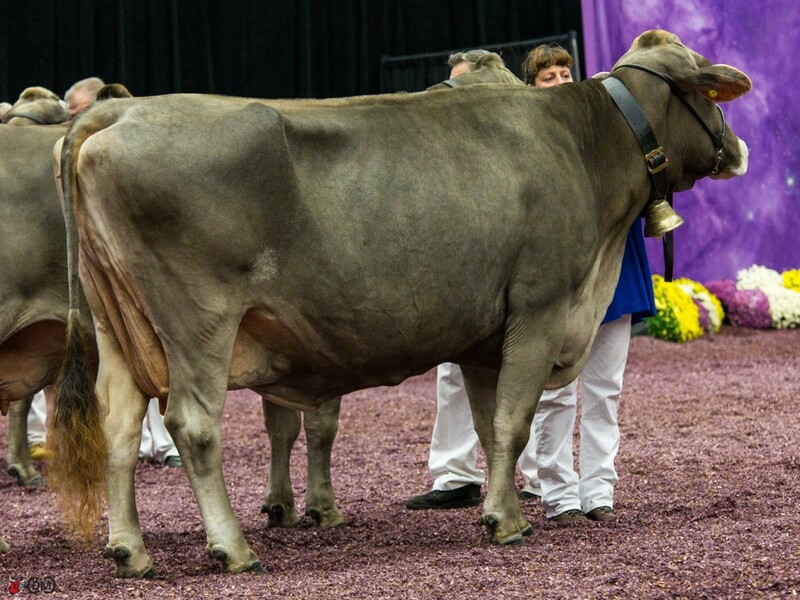 (Read more: Elite Dairy Has Banner Day at International Brown Swiss Show). If Snickerdoodle gave us a glimpse into the past, KHW Regiment Apple-Red gave us a look into the past, present and the future. Sure she looked amazing and was named Reserve Grand Champion. She showed off her trademark depth, angularity and balance but that was not enough for the living legend. Apple-Red was able to take things to a level that might never be able to be repeated ever again. Her clone, KHW Regiment Apple 3-Red-ETN who is the spitting image of a younger Apple-Red was the only cow that was able to beat her on this day. Yes you could say she was beaten by herself. And to add to the growing legend, her daughter MS Candy Apple-Red-ET was named Honorable Mention Grand Champion. (Read more: KHW Regiment Apple-Red – Beauty, performance, and even more record accomplishments and History Made At the 2013 International Red & White Show). Watching Apple, Apple clone and her daughter sweep the Red & White Show will be a memory I will never forget. Having the honor to be right there and taking the pictures to preserve that memory was priceless. Paul Ekstein – Grumpy Old Man? I think NOT! 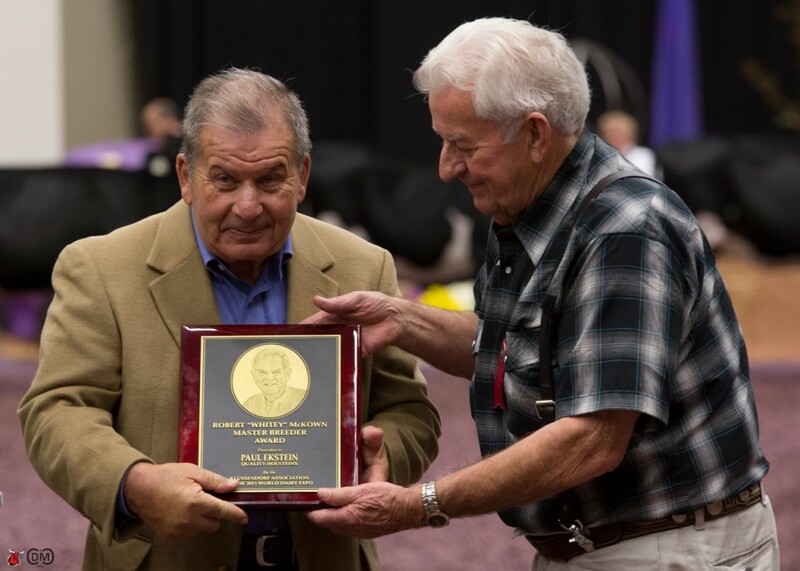 There is no shortage of awards given out during World Dairy Expo. 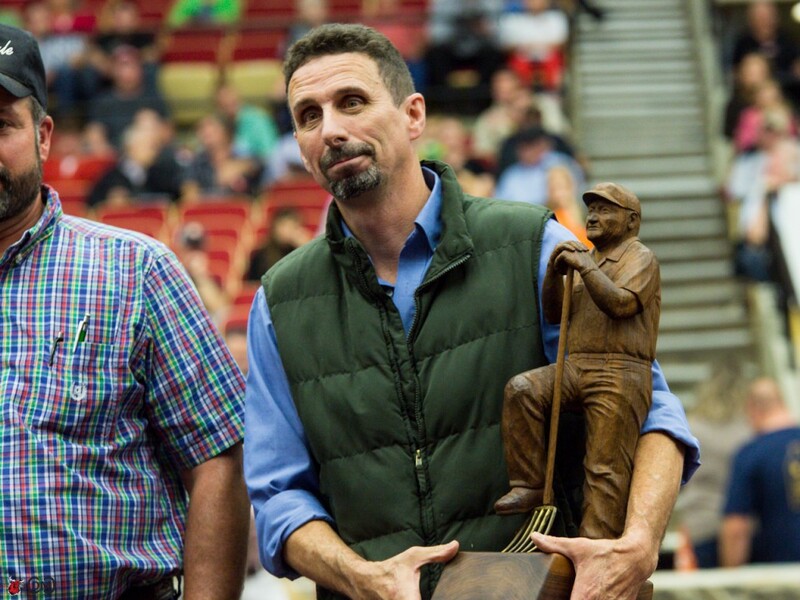 Two of the biggest are the Robert “Whitey” McKown Master Breeder Award and the Klussendorf-Mackenzie Award. Coming into the show, I was well aware that Paul Ekstein would be receiving the much deserved McKown Master Breeder Award. (Read more: Ekstein Named Fifth Robert “Whitey” McKown Master Breeder Award Winner and PAUL EKSTEIN – 2013 Recipient of the Prestigious McKown Master Award). I have had the pleasure of knowing Paul my whole life. First it was by a reputation that might have you thinking of Walter Matthau from Grumpy Old Men. However, since starting the Bullvine, I have had the pleasure to get to know Paul on a whole new level. The biggest thing that touches me is just how much he cares. When I suffered my heart attack or have had to deal with the challenges that come with running the Bullvine, Paul and his son Ari have been amazing supporters and good friends. So when Bert Stewart, lifelong friend of Paul’s and university classmate presented him with his award, my heart was overflowing and my trigger finger was snapping pictures as fast as I could. I knew family and friends would want as many pictures as possible to preserve this moment of well-deserved recognition. Speaking of someone who appears grumpy on the outside but is golden on the inside, Richard Caverly winning the Klussendorf-Mackenzie Award surprised me. (Read more: Maine Native Wins Klussendorf-Mackenzie Award) Not because he was not a very deserving winner. He is. In fact Richard’s list of accomplishments and the cattle he has worked with reads like a Who’s Who of the show ring greats – Gold Prize, Nadine, Melanie, Delilah, Ashlyn, Victoria, Veronica and Frannie. It’s the cow on the end of that list that stands out for me. Sweet-Pepper Black Francesca was last year’s Grand Champion of the Ayrshire show for the 2nd time. In wanting to learn more about this cow, I started chatting with Richard more and more and found that the story behind this cow is truly amazing. (Read more: The Magic of Francesca) What I learned was that, not only was this cow an amazing show cow, but she did something even more magical. Francesca changed the lives of Richard and his wife Beverly, in a way that no other cow possibly could. United by their passion for great cattle, Richard and Beverly are two of the most amazing people I know. That is why when I learned of Frannie’s passing the tears started to fall. 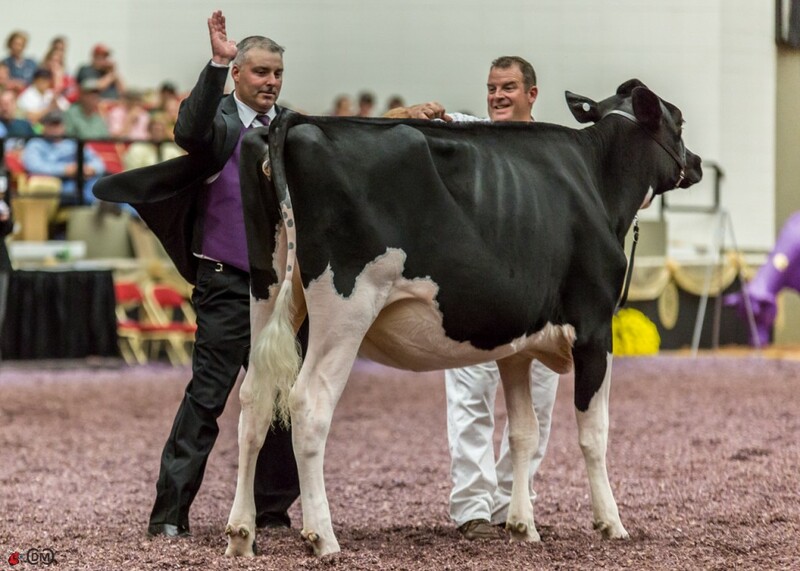 Watching the Ayrshire show this year was tough for me, as I knew that, for those in the ring, there would be moments of extreme happiness, but for Richard and Beverly, the memories of “Frannie” would come back again. Over the years I have had the opportunity to attend Expo many times. But this year would be a first for me. This year I would be in the ring taking pictures. I think I must have annoyed the heck out of the Expo staff prior to the show. I was repeatedly checking to make sure that I would be able to take pictures in the ring. For me it meant that I would be experiencing a dream come true. You see I have been able to experience the show as a fitter, as a showman, but never have I been able to sit right there and get the same exact view the judge gets and see who is the best of the best. Last year at Expo I sat in the stands and took pictures from there. This year I wanted to take things to a completely new level. Since last year’s show I took the opportunity to take pictures at as many shows as I could. I pretty much forced my father to go to every show with me, 19 in all. Many required that we drive all night to get to the show, spend the whole day taking pictures, and then drive all night to make it back in time to attend meetings for my main company the next day. In preparation for this amazing opportunity I also took more than 60 hours of training on the technical side of photography. You see I am not a photographer by trade. I learned graphic design as a must when I started Elite Breeders back in University. When I started that company I didn’t even own a computer of my own and then I was presented with the opportunity to market Calbrett-I H H Champion, the #1 LPI sire in the world, for GenerVations. I had to get a loan from my grandfather, buy a Mac, and Photoshop and do a catalogue and ads for them, all while even learning the basics of how to use the programs. This time I was going to be prepared. Sure none of the video companies could even imagine shooting under these conditions. The show ring combines two of the most challenging circumstances a photographer can encounter, low light and action. In order to be able to get the pictures that would preserve the memories I have had to invest over $20,000 in camera equipment alone. No small investment for a digital magazine that until this point has had no revenue sources at all and is driven by the passion of our team. One of the great things about attending so many of the top shows, is that I had the opportunity to see many of the contenders before the Expo. This insight made it possible for me to do a very complete preview of the show. 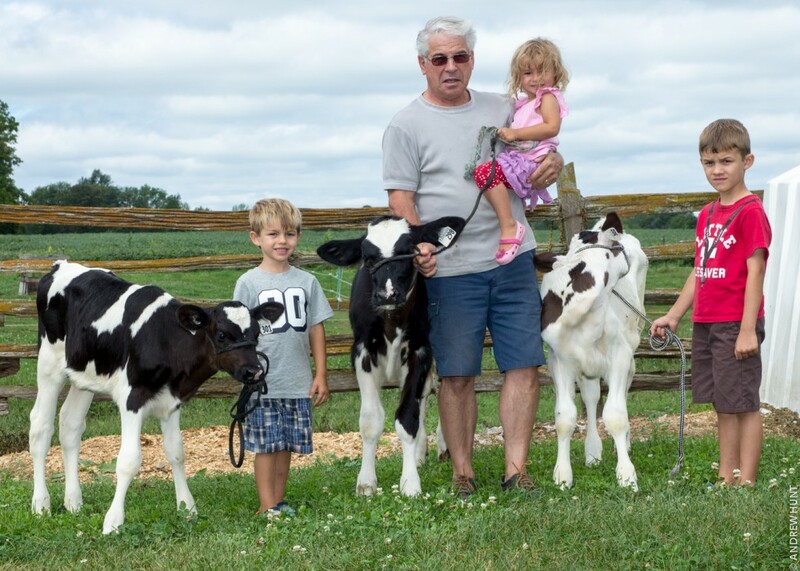 (Read more: World Dairy Expo 2013 Holstein Show Preview – Everything You Need To Know To Get Ready For the Show). Armed with this insight and the camera equipment to get the pictures, I was ready to get to work. Since last year’s World Dairy Expo our readership has grown to over 10,000 readers on a daily basis, the largest in the industry. So I knew that people would be watching. But man I could have never expected the results that we have had. Pictures such as the naming of the Junior Champion and Grand Champion went viral. In the past week since the show, the pictures that we shared have been seen by over 1,000,000 people and liked or shared by over 10,000 people. 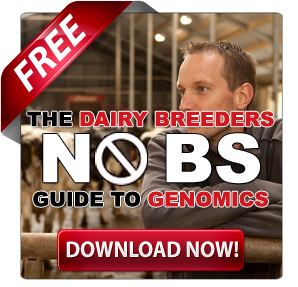 That is more than all the other Dairy publications combined. Scary to think for a magazine that is just over 18 months old. Junior Champion Female honours went to the 1st place Spring Yearling Calf, Cameron Ridge Atwood Beauty exhibited by Gene Iager and Chris & Jennifer Hill, Thurmont, Md. For me it’s a humbling experience to have our hard work be rewarded the way has been. 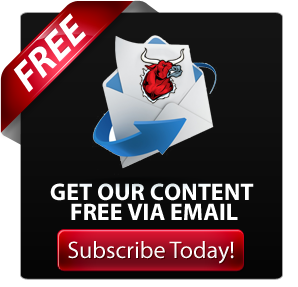 The team here at The Bullvine has put in many long hours to put out four unique articles a week. That is 16 articles a month. When you consider that the average magazine does about four a month you understand the amount of work that goes into producing The Bullvine. On a daily basis we are always looking for new and different ways to add engagement to what we do. This was highlighted by our recent Fantasy Exhibitor contest which received over 5,000 entries and was seen by over 50,000 people on our website alone. 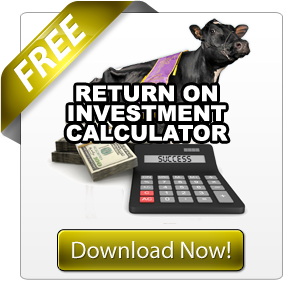 (Read more: Fantasy Exhibitor – World Dairy Expo 2013 Edition – The Results!). For the Bullvine team being at Expo was amazing. Having so many people from all walks of the dairy industry come up to us and tell us just how much they appreciate what we do was inspiring. It’s moments like these that drive us on a daily basis to do better. Bonaccueil Maya Goldwyn, exhibited and owned by Ty-D Holsteins, Drolet & Fils, Ferme Jacobs, A. & R. Boulet, Inc, who was crowned Grand and Senior Champion of the 2013 International Holstein Show. Here are some of the over 4,000 pictures I took during my 3 days at World Dairy Expo 2013. Just like each of my children (who are my first love) every World Dairy Expo is different and unique in its own way. The 2013 Edition will certainly be an extremely memorable one for me. Expo is where legends are made. This year we saw two great legends add to their story and new legends, Bonaccueil Maya Goldwyn and the amazing team at Ferme Jacobs emerge. From all of us here at The Bullvine, we want to say thanks to you the exhibitors and breeders who, with commitment and passion, make these awesome memories turn from dreams to reality! 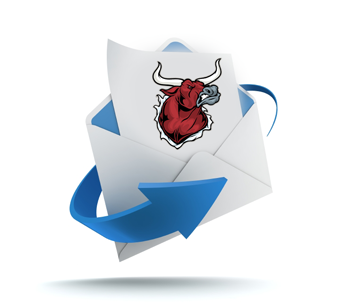 What’s next for us here at the Bullvine? Well today we will all be at the Rockton World’s fairy where my children, Drew (6), Ethan (4) and Zabrina (3) will be showing for the first time.